What happens in Bath stays in Bath—or not. 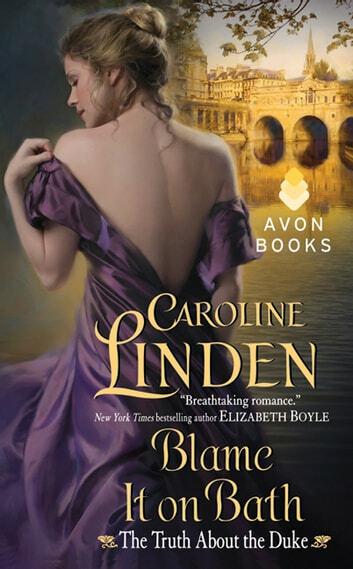 Blame It on Bath is the second installment in Caroline Linden’s breathtaking new historical romance series, The Truth About the Duke, in which the three sons of the Duke of Durham, at risk of losing their inheritance, seek their fortunes…and, hopefully, love. 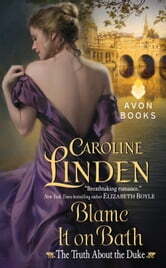 Writing in a voice that will remind readers of Julia Quinn and Liz Carlyle, RITA Award-nominee Linden spins a wonderfully sensual yarn about a blackmailed nobleman facing the loss of his birthright and bent on revenge, and the willing heiress he intends to marry for her money—a lady who has loved him from afar for years.